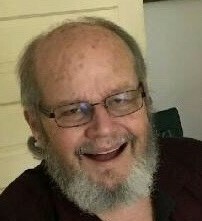 Donald Atwell Stroupe, 64, of Dallas, passed away on October 25 at CMC main in Charlotte. He was born in Iredell County son of the late Shaylor Wilkie and Thelma Goodson Stroupe. In addition to his parents, he is preceded in death by a brother Ricky Stroupe. Those left to cherish his memory include his fiancé Jan Jolley, two children; Jacob Stroup and Stacey Kerr, as well as six grandchildren. A service to celebrate his life will be held at 3:00 pm Monday October 29 at Alexis Baptist Church with the Rev. Scott Jenkins officiating. The family will receive friends one hour prior to the service also at the church.